It’s 2018 and people are still (understandably) obsessed with Frida Kahlo. Google knows this, and has worked with 33 museums from seven countries to arrange an insane collection of hundreds of pieces of her art, including some that had never been digitized before, and made them available online. Not long after she married Diego Rivera in 1929, the couple moved to San Francisco, California. The young bride of 23 then maintained a constant correspondence with her mother. These letters gave her mother daily updates, saw her ask for news on the family and also express her concerns as a newlywed, all the while maintaining a chatty, gossipy tone. These letters reveal a Frida who felt neglected again, this time by her husband: Diego refused to have children and worked morning, noon, and night, leaving her on her own [...] She avoids explicitly saying so in her letters, but reading between the lines reveals the concern that Rivera’s infidelities caused her, make her feel more isolated. With her “beloved doctor” Eloesser, Frida no longer felt neglected; she had found someone who really cared for her. Still retaining her affectionate tone, but in a style of writing which was at times crude and direct, she came to describe in her letters to him physical and mental complaints, as if in a medical consultation. 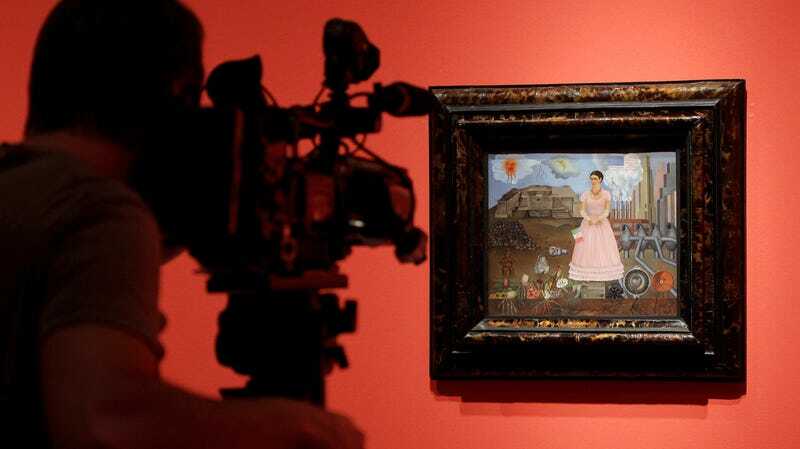 Like her letters, some of Kahlo’s artwork reflects—sometimes more overtly than others—her lived experience, and it’s clear there’s still much to learn. Check out the whole collection here.